Securely store all your passwords and organize them for easy access and management! 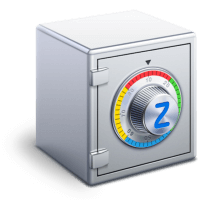 Zoho Vault encrypts your passwords with the strongest encryption standard, AES-256. Safely share common passwords with groups in your organization, and vary access privileges for each member. Protect online passwords with the strongest form of encryption available, track activities through audit trails, centrally control user access, and gain visibility on who has access to which passwords.